This page displays both individual student accomplishments as well as Quest accomplishments. We started with 2-3 classes year and now organize nearly 100 classes per year. Creation of the Gamma Omicron chapter of the Eta Sigma Alpha National Home School Honor Society. In the past two years, we have inducted ten members. Creation and implementation of the biannual Creation Celebration event. This is the only vacation-bible-school-style event to educate kids and adults about creation science with nationally recognized educators. From our science fair students have gone on to participate in regional, state, national and international science fairs. Over the years, we have sponsored three ISEF participants, many Broadcom nominees and three Broadcom semifinalists. We host and coordinate AHSEF, the Arizona Home School Science and Engineering Fair (formerly the CHET NW Homeschool Science Fair). The first year we had about 50 projects. Going into our eighth year we now see more than 100. In 2012 we started our Music Program with about 12 students singing in the choir and learning guitar. This past year (2016/17) we more than 70 students in everything from chorale and guitar to music theory and private lessons. We offer affordable private lessons to approximately 42 students in flute, piano, guitar, violin, cello and bass. The Division 1 team (Elementary) took 3rd out of 14 teams and it was their first year competing! They will be going on to the state competition! Congratulations to Logan Waid, Emma Waid, Logan Smith, Sadie Baird & Josie Blake! The Division 2 team (Middle School) took 2nd place out of 10 teams and will be going on to the state competition! Congratulations to Alexander Nelson, Jordan Kouba, Bria Marshall, Evan Moody, Sage Graf & Josh Thai! 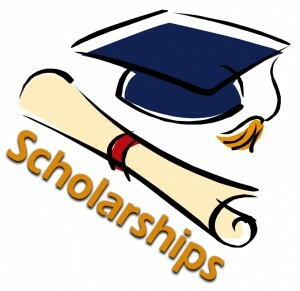 Established the Wesley Bioldeau Scholarship Prize for graduating home school seniors. Since the creation of the Bioldeau Scholarship Fund in 2013, ten students have won scholarships ranging from $250-$1000. As we grow, we hope to be able to give more! While participating in the Tucson Pumpkin Toss competition we won 1st Place in the Onager Division (2011), 1st Place Middle School Onager (2012), and 1st Place Open Division (2013). In 2016 we took 1st place in the Middle School Trebucet Division. This year (2016/17) we offered our first Latin classes. On the National Latin Exam, which they took this past Spring, six students received awards.